"Politics is failing the people of the country again. Utopian populism is winning again. It's Groundhog day. We will regret it, just as we did in '77." Sinn Fein leader Gerry Adams backed the idea of TDs having the power to determine the future of Irish Water, claiming there were now a majority of politicians in Leinster House against the regime. "Fianna Fail's manifesto, not once, but in three separate sections clearly calls for the abolition of Irish Water and the scrapping of water charges. It says nothing about the suspension of charges, or maintaining the mechanism for charging on the statute books," he said. 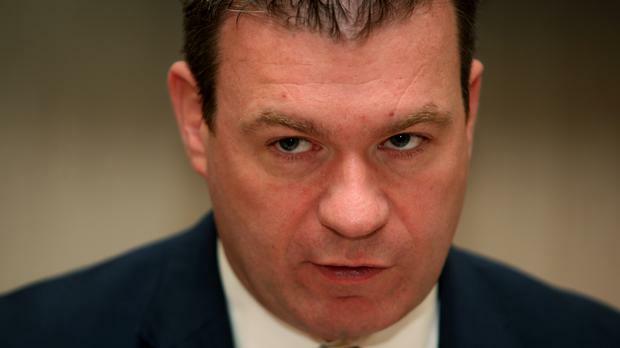 Fianna Fail leader Mr Martin said: "This is very far from being the single most important issue facing our country, however it is important and the handling of it in recent years represents a dramatic public policy fiasco." But he added: "The policy we are committed to remains a scrapping of the commercial state firm, no charges for at least the duration of this Dail and a major national investment programme in developing this vital public service," he said. Simon Coveney, Cabinet minister and Fine Gael negotiator, rejected allegations from some opposition figures that Irish Water was destined to be sold off by the state. "The accusations from some of a secret agenda of privatisation is completely bogus and untrue," he said.